Heavy rare earths developer, Northern Minerals (ASX: NTU) announced on Thursday that it had received the first $9 million tranche as part of a $30 million equity investment by Huatai Mining, part of Chinese coal trader Shandong Taizong Energy. 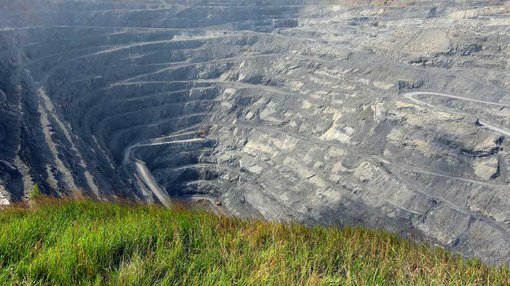 To provide some background, NTU initially flagged the Huatai Mining transaction in September, and in October the company received Federal Investment Review Board approval for a $30 million equity investment. During this period NTU’s shares increased from 10.5 cents to hit a high of 17.5 cents in late October. The recent retracement to yesterday’s closing price of 14.5 cents appears to be a response to broader market weakness, as well as some profit-taking. Consequently, the current trading range could provide a useful entry point. However historical trading patterns are not necessarily an indication of future share price performance and this should not be used as the basis for an investment decision. NTU is an early stage mining company which should be viewed as a speculative investment, and as such independent financial advice should be sought if considering this stock. Receipt of the first tranche of $9 million allows NTU to commence pre-commitment works for the development of a pilot plant at its Browns Range project, which is a large landholding spanning the Western Australian and Northern Territory border. 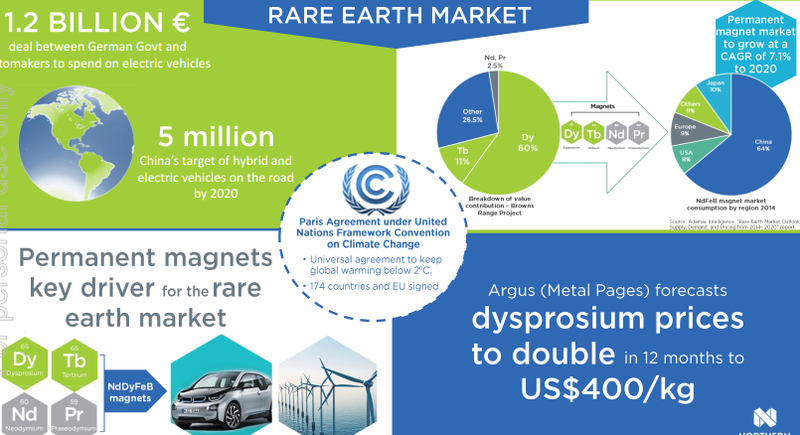 Management views the area as highly prospective for heavy rare earth element dysprosium, an essential ingredient in the production of dysprosium neodymium iron-boron magnets used in clean energy and high technology solutions. Management highlighted that there is increasing global demand for these applications, and the project’s xenotime mineralisation has facilitated the development of a two-stage process flow sheet consisting of a beneficiation and hydrometallurgical plant to produce a high value, high purity dysprosium rich product. With NTU now in a position to organise longer lead time construction equipment and facilities, Managing Director, George Bauk highlighted the significance of this development in saying, “With an expectation of a final investment decision in early 2017, our project development team is moving ahead with an initial site works to ensure we fulfil our strategy of achieving first production in late 2017”. Potential investors should note that forward-looking statements regarding exploration and production outcomes are estimates that may or may not be met. If considering this stock, independent financial advice should be sought.